As a “new” blogger, you scroll through Facebook groups or things like Bloglovin’ in the hopes that you’ll find the secret formula to monetizing your blog enough to be able to blog full time. I could probably scroll through my newsfeed right now and find three or four “How I made $XXXXX in my 5th month blogging” posts. Honestly, I don’t think that’s attainable. Since I started my blog in October 2016, and officially bought the domain and everything in January 2017, I have made a whopping total of $60 from my blog. 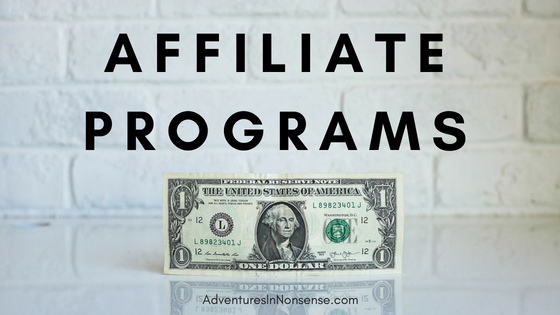 There are a ton of affiliate programs out in the world. How are you supposed to know which one is best? You can sign up for a ton (like I did at first) and see what sticks. Or, you can listen to me about the affiliate programs that I, as a not very profitable, but very casual blogger love to use. I’m still a bit intimidated by this one. ShareASale is a part of Awin (another common affiliate program). With ShareASale, you can sign up for a TON of different affiliate programs. 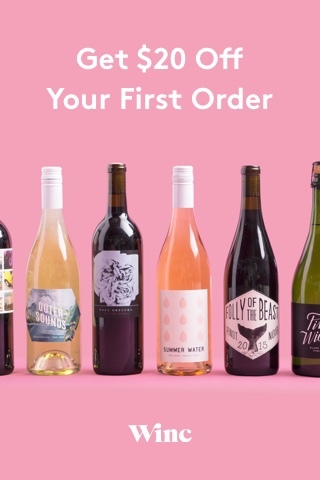 I’m part of Southern Kitchen, It’s a 10 Haircare, Checkout 51, Causebox, Erin Condren, SinglesSwag, Minted, PuraVida Bracelets, Cellars Wine Club, Winc, & Breakout Games. 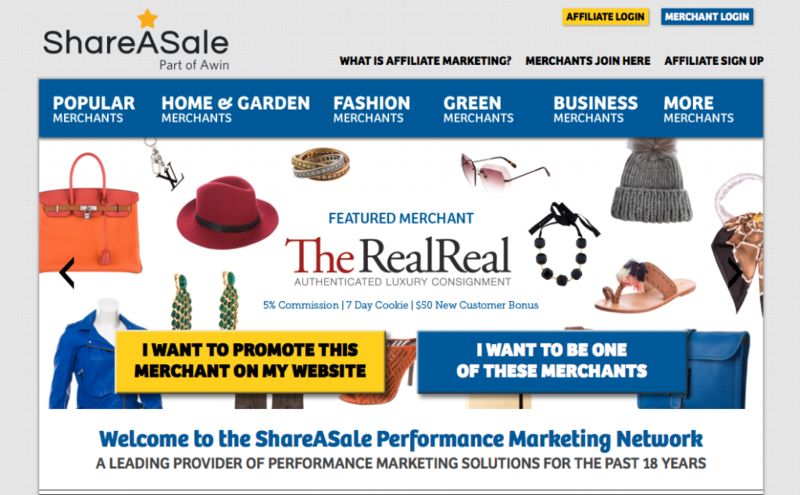 There are THOUSANDS of other affiliates and companies within ShareASale. There are some you’ll try and join that may deny you. I was denied by Wayfair. However, there are so many opportunities that it’s a great place to start if you’re unsure of where to begin. I love Amazon. Maybe you guys have figured that out by now. They have a ton of affiliate opportunities. It’s free and easy to sign up, but they do verify your account. If you’re approved, you have to generate your first sale within the first 180 days. That sounds a lot easier than it proved to be. You can link to (almost) any product within the Amazon catalog. They also have Promo Codes that you can share, as well as the Bounty Program, for things like Amazon Prime or Kindle Unlimited. That’s basically it. Those are the affiliate programs that I use regularly. I’ve been a part of CJ.com, which is fairly similar to ShareASale. There are a ton of different advertisers, but I think some of the “good” programs are exponentially harder to get into. I’m also a member of Awin that also has a wide variety of advertiser programs you can join. I’m an affiliate for Etsy this way. There are also a ton of companies that offer affiliate programs directly through their site. If you have a company or brand that you’re really passionate about, reach out to them! 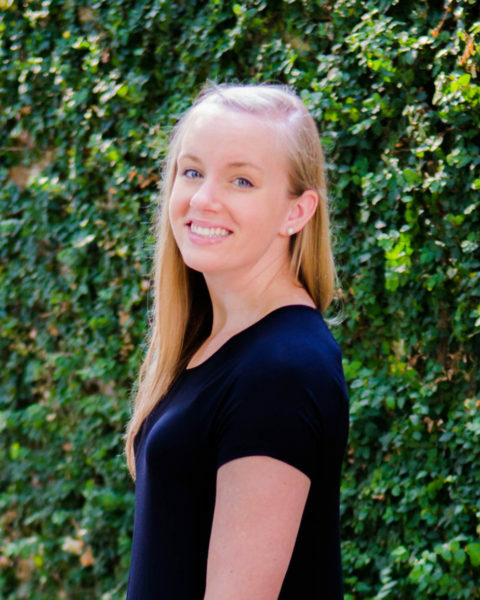 They may not have a public affiliate program, but they’ll likely enjoy the opportunity to work with someone who really cares about their company and their mission. Good luck, and here’s to hoping I read your “Income Report” one of these days! Now, this wouldn’t be a blog about affiliate programs without a few affiliate links. I may get a small commission from sales generated from link clicks. Title photo by NeONBRAND on Unsplash.